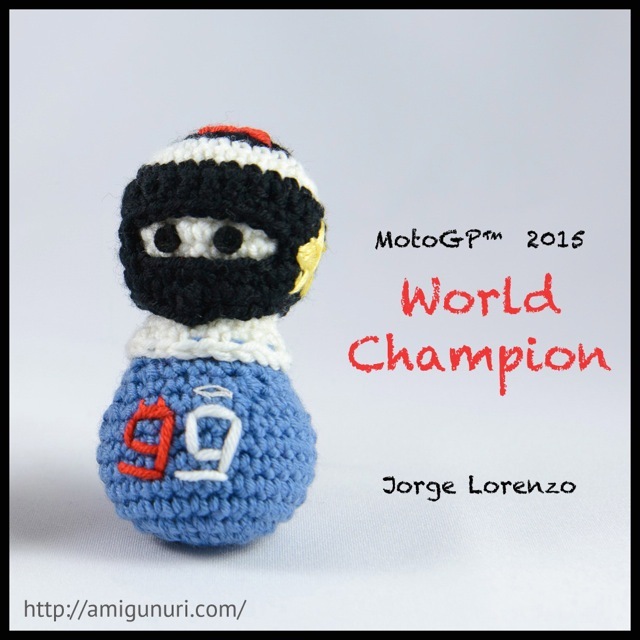 Jorge Lorenzo is MotoGP World Champion. Congratulations! I also want to congratulate all pilots in three categories. All have made us vibrate!!! Do you want a pilot? Contact me. Hand knit by me with love in Mallorca.